Pamela York will be playing at Cezanne’s July 29th and August 20th, 2011. Canadian-born jazz pianist, composer, and vocalist, Pamela audaciously invites her audience to enter her life for a moment in time—for she is also a daughter, sister, wife, mother, and friend. To Pamela York, what matters most is connecting with people as she tells a story through her music. 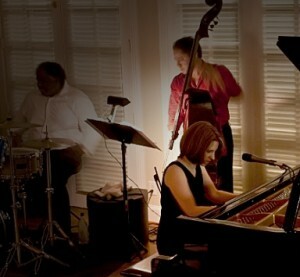 Cezanne’s – The premier jazz club of the southwest is located 4100 Montrose Blvd., Montrose Houston.